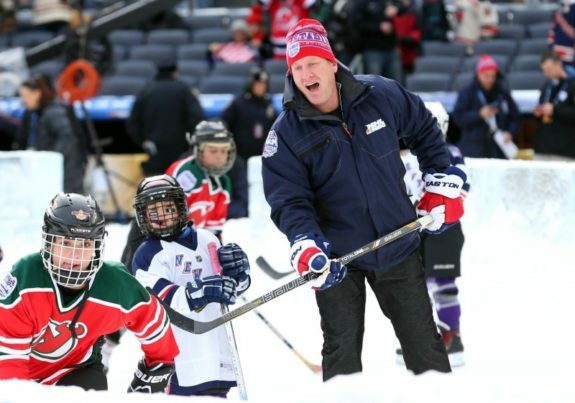 NBC Sports commentator and legendary NHLer Jeremy Roenick is back stateside after providing coverage and insight at the 2018 PyeongChang Winter Games. While in South Korea, “J.R.” as he is affectionately known, saw it all. 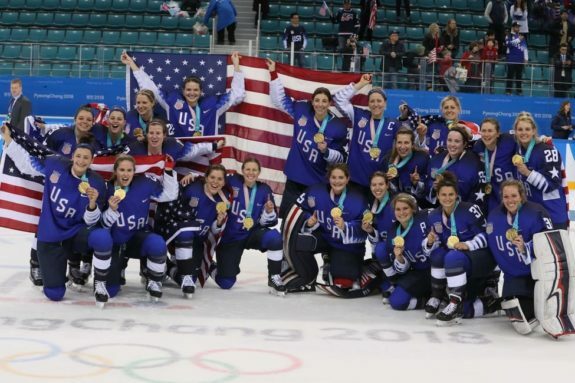 The first Olympic gold medal in 20 years for an American women’s hockey team. An underdog Team Germany men’s team making it all the way to the gold medal game themselves. The excitement and the exuberance of the Korean people and the genuine passion they put forth at the Games as whole. Roenick took it all in firsthand. Even while being a two-time Olympian himself for the United States, he still marveled at what was witnessed for both women’s and men’s hockey in PyeongChang. Now that he is back in North America, Roenick is ready to help kick-off the foremost initiative of the hockey community for giving back. Kraft Hockeyville is an annual competition that is sponsored by Kraft Foods, the National Hockey League and the NHL Players’ Association. Hometowns in Canada and the US get to express why their particular community is the most passionate for the game of hockey. Local hockey communities can win up to $150,000 for rink upgrades and have the chance to host an NHL preseason game for their community. Kraft Hockeyville has been in existence since 2006 as a means of giving back at the grassroots level of hockey. Kraft added a USA recipient to the competition starting in 2015. This is something Roenick is quite passionate about and does not hold back in sharing his excitement. 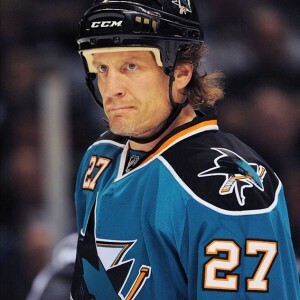 Jeremy Roenick: Hey Nate. How ya doing, pal? The Hockey Writers: Hi Jeremy. Good, how are you? Really nice to talk to you today, and thanks for this opportunity. JR: Thanks for coming on. I really appreciate it. THW: Sure thing. I’ll try not to take too much of your time. I’m sure you’re pretty busy. I’ll just get right into my questions. JR: Take as much time as you want. It’s important to get the message out, my friend. THW: Thank you very much. I know that you just recently just got back from PyeongChang. Just from watching and seeing you on TV, you were particularly excited to see how the USA women’s team did. The fact that you’re an American hockey player, you’ve competed in the Olympics, what does that women’s gold medal mean to you, and in your eyes, to this country? JR: Well anytime that you win a championship, it’s going to be fantastic. You won an Olympic gold on the world stage, that puts you on top. That opens up the eyes of a lot of people. Especially for our women, there are a lot of young girls that watched these women win a gold medal. And the elation, and the celebration, and what it took to win. That’s going to create a buzz. Just like the ’80 Olympic team created when I watched it. It made me want to be an Olympian. So, I think women’s hockey is getting bigger and bigger, and better and better in the United States. To have a win like this only magnifies it. It only gives it more exposure, and more excitement. I think these women have gone through a lot. They battled for equal pay with USA Hockey, and won. They’ve lost the last two Olympics in the gold medal game. To be able to comeback – they were down 2-1 – to tie the game, and then to keep it going into a shootout and win. It was wonderful for them, and I was so proud. We’ve been following the ride with them for a number of years. THW: I was especially interested to ask you that just because of the fact that you are an American and have competed in previous Winter Olympics. JR: I bleed, sweat and tears the Red, White and Blue. I loved playing for my country. I’m a real proud American, and when we can finish high on the world stage, I’m going to be jumping up and down for sure. THW: That’s awesome. And you kind of segued well into my next question. We have seen the Buffalo Sabres owners purchase the NWHL’s Buffalo Beauts. The New Jersey Devils partnered with the NWHL’s Riveters, and then the Minnesota Wild helped host the recent NWHL All-Star Game. With the success of the women in PyeongChang, do you think it’s going to be the happening thing for more NHL teams wanting to get involved in women’s pro hockey? JR: I really hope so. I really do. I truly believe in having women being represented in every sport. They’re competitors in their own right. Some really fierce, some really talented, and it just makes for a good story and good entertainment. They deserve to have the same kind of opportunities. THW: For sure. Now, I look at you being able to speak from experience – in addition to competing in Salt Lake City, you were also at those ’98 Nagano Games. The fact that these Winter Games were also in an Asian country, what did you think of the atmosphere in South Korea? JR: It was amazing! The people of South Korea really just grabbed hold of hockey, and accepted the challenge of the support and the curiosity. You know, they were loud, they were boisterous when South Korea touched the puck. There was a buzz in the air. They were number-one stars for sure. They loved the game, they showed excitement for the game, and they were really intrigued with it. And they came out in droves to support it. I was really impressed. Was the Men’s Tourney in PyeongChang a Success? THW: That’s excellent. Not to dwell too much on it, but with the Olympics now behind us, NHL players versus no NHL players being there, how do you view the men’s tournament as a whole and do you think it can be deemed a success? JR: It was a success because we had a good tournament. We almost had a big upset, and the team that was expected to win, won. It was a success, but you didn’t have the quality that you would have had if NHL players were there. Without question, there was some really bad hockey played, and then there was some spectacular hockey played. Either way, it had its story lines, it had its moments, and you had your upsets. That’s all that you can ask for in a short tournament. THW: It was definitely exciting at times, and as you said, you had to love those storylines that were associated with it. JR: Oh absolutely. Just the South Koreans – how they scored their first goal in Olympic history. How they bowed to their coaches. How they took the Czechs to 2-1 and only lost 4-0 to Canada. It was pretty impressive. THW: Just looking at it from a different perspective, I know that Jim Paek and Richard Park (coaches for South Korea) – you played with both of those guys in the NHL, and it was probably neat for you to see where they are now. JR: Yeah, it was spectacular. It really was. I talked to Richard for little bit before the tournament started. They were just overjoyed. Win, lose, whatever the case may be, it was an experience for them that they’ll never forget. THW: I want to change gears a little to talk about Kraft Hockeyville. I know it’s a program that you’re very much involved with and are a strong proponent of. When you think about this program and the contest that surrounds it, what touches most upon your heartstrings? JR: Well there’s a lot. I think number one, I love that Kraft is putting hockey up front and is raising awareness for youth hockey. Trying to create excitement around hockey in all the small towns and all the small communities around the country. I love that aspect about it, and that they care about the arenas. They care about the kids, and having a fun, safe environment to learn a great game. This is the fourth year now that it has been in the United States. Johnstown was a huge success. Marquette was a huge success. Rostraver last year in Pennsylvania was a huge success. You should see the faces of these kids when NHL players come to play in their local arena. What Kraft Hockeyville does, it goes out and finds the most passionate hockey community in America. If you are lucky enough to be deemed the Kraft Hockeyville champion, you get $150,000 that you can plug into your local arena for needed upgrades. You have the chance to host an NHL preseason game right there in your local arena, which is just spectacular motivation to get out there and nominate your community. You have up until March 10. Go to KraftHockeyville.com. Write a letter, and let us know why your community is the most passionate. Let us know about your arena. Why it’s so special, what kind of upgrades it needs, why it’s so important to your community. Then you can follow your team, you can follow your community by going on Twitter and tweeting about your rink and your community. You can go onto KraftHockeyville.com and upload pictures, videos, and do some chats with other community members. You can acquire what they call “rally points”, and rally points help you boost your team closer to the top. It’s like a vote. Every time you go on and tweet, every time you post a picture, it’s a vote for your community. March 10 will be the last time that you can nominate your community, so it’s cool to get on it now. We’re going to announce the winner on April 14 right on national television. Right on NBC Network, myself and Liam McHugh will announce the winner. The top-four arenas are going to receive money for their arenas for upgrades. So not just the first team, the first community. There’s going to be money spread around for a few different communities that need it. THW: Wow! There are just so many good things that you just said. How wonderful to have something like this. JR: It’s awesome. We’ve had every single state represented in Kraft Hockeyville. In the first three years, over 1,500 arenas. It’s been an amazing program, an amazing competition that brings communities together. It really creates an energy around hockey in the communities, and it makes communities stronger. It improves the arenas, it improves the programs. Kraft Hockeyville has been an amazing event, and something that every community should get involved in. KraftHockeyville.com – I want to hear your stories! ?Your community could be the next Kraft #HockeyvilleUSA and have the chance to host an NHL Pre-Season game and win $150,000 in rink upgrades! THW: Jeremy, obviously you had a long, storied career. Was there ever a particular player or a teammate that you admired their involvement in the community? JR: Oh my gosh, there are so many. I used to play with Stu Grimson. The tough guy, the fighter, the guy who had to go out and do that tough job of policing the rink and policing players. He was always so involved in the community. Just amazing to watch. Hockey players are the best. Going to hospitals. The teams made sure that they gave back to the communities. I don’t think there’s one specifically that I remember being the most involved. Usually you do it as a team. Hockey players are the most respectful, and I think the most caring and giving. THW: I would agree with that wholeheartedly. From my interactions with players over the years, definitely the most compassionate of any of the sports. JR: That’s good. That’s good to hear. THW: Jeremy, just my last question for you. And again, I just want to thank you for your time. I know that you are originally from Boston and grew up mostly in the New England area. I can only imagine the many great players that you got to admire and watch from your boyhood. What would you say is the most important thing that hockey has taught you about community and being a part of the world we live in? JR: Respect. Respect people’s work. Respect people’s being. I’m a true believer in treating people the way I want to be treated. I think that hockey has taught me to compete. It has taught me a level of competitiveness also with that respect. Win or lose, you shake hands and you go have a beer with somebody you dropped the gloves with, and still know that it was all about the game and not personal. I love that about my sport. THW: That’s awesome. Well Jeremy, thank you again. This was really great to talk with you. It was a great opportunity for me, and I will definitely be tuning in and getting the word out about Kraft Hockeyville. This was an awesome experience. JR: Beautiful. I appreciate your time very much, and thanks for plugging. It’s a really cool program. As “J.R.” had stated, you have until March 10 to nominate your community for the Kraft Hockeyville competition. Be sure to visit their website and take part in all the fun. If you have learned anything new about Roenick, one thing that you need to know for certain is that he is sincere and that he loves the game of hockey arguably more than anyone else you will ever meet. Whether that is in growing the women’s game, finding new fans in non-traditional cultures like South Korea, or teaching the sport to the neighborhood kids at your local rink or even a game of street hockey. Be kind to others, give back, and be involved. This is the right way to go about life – helping each other and supporting one another. Hockey is a beautiful vehicle for that belief, and Jeremy Roenick is in the driver’s seat.